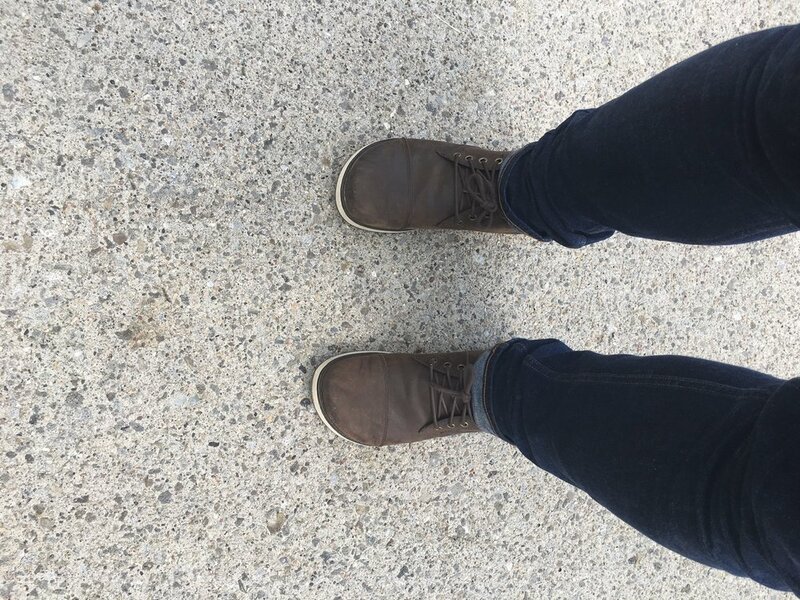 I get a lot of questions about footwear...what shoes I wear, what shoes are good for different foot shapes and sizes, and what type of activity. Well, first off, I am not a podiatrist, so I don't know what shoes will be good for your feet and footwear is all about preference. With that being said, I can speak to what I wear and use and why I do that. To start off, I have Barney Rubble feet...this precludes me from wearing a lot of shoes out there, so if you have this same affliction, you will probably find this most useful. This affliction also has saved me as well, which is something that I will get to a little later on. The first thing I want to discuss, is the heel to toe offset. I have always been of the mindset that anything that takes our bodies out of it's natural movement patterns is, generally, not a great thing. Once we create a change in our (bio)mechanics, the effect will probably be felt up or down stream, depending where that change takes place. Our feet are no different. 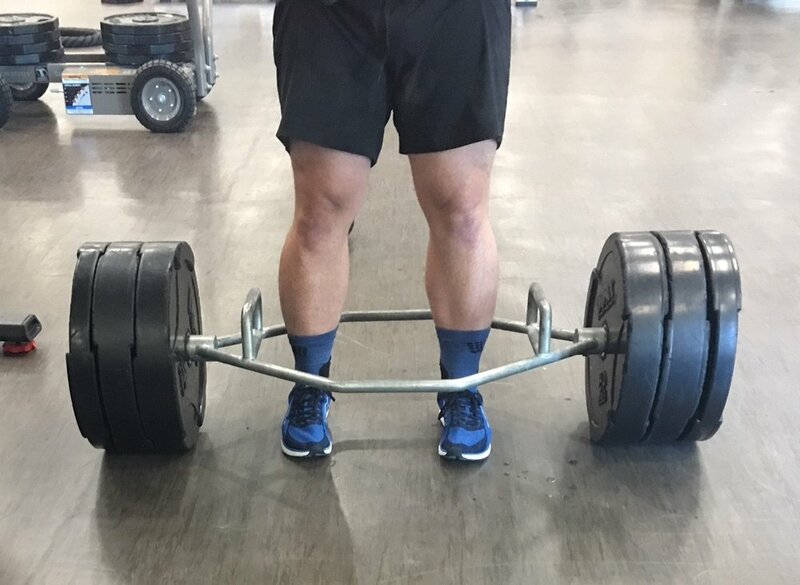 We aren't meant to be heel strikers and in doing so, we create stress and shock up our kinetic chain depending upon the intensity of our activity. We also begin creating imbalances in our body by changing the angle of impact/force, shortening or lengthening fascia, muscles, tendons, ligaments, etc. So back to the heel to forefoot/toe offset...As a rule, I try to stick to shoes with no offset, they are popularly referred to as "Zero Drop" shoes. These take a little time to adjust to because we spend the majority of our lives in shoes with a fairly substantial offset (+12 mm). With one exception, I will not use a shoe with an offset greater than 4mm. The shoes I'm referring to are the Salomon Speedcross 4 Wide, which boast a 10mm offset...on second thought, I did put quite a few miles down in the Under Armour KTV's, which have a 7mm offset, so I guess there are two exceptions. With that being said, I only put about 20 miles into the Salomon Speedcross. The offset was very uncomfortable to me, and even though they are "Wide", pretty much everything Salomon makes runs very small. So if anyone is interested in a US size 13 Salomon Speedcross, let me know. I won't get on a soap box about "Zero Drop" shoes, but I do credit them with keeping me relatively injury free. I currently, do not have any affiliation with any particular company, but the shoes I wear the most are Altra's. I discovered them about 3 years ago, prior to my weight loss. All of their shoes are zero drop and they have a wide toe box so they allow your feet to splay naturally. They do say that there is an adjustment period to wearing those, just like you would have if you were wearing the Five Finger shoes from Vibram. This is more of an adjustment period to running. I was pretty fortunate and I started wearing them when I was still fat and I had to walk a lot for my job. (I was doing ergonomic evaluations in a 4 million square foot plant, so I would get my steps in, to say the least) I never had that adjustment period that they talk about. It happened naturally for me, so when I started running, I didn't have those same issues that a lot of people go through. I do have the Five Finger shoes from Vibram, but I don't run in them, I really just wear them for normal daily activity, for the most part. I have lifted in them and done some calisthenic type workouts, but as a whole, I just wear them around. I equate it to the same thought process as training at high altitudes, train low, live high...I do the same thing with the Five Fingers, but I might start doing some running with them in the future. Altra also makes casual shoes and I wear one of their casual boots most days to work. I am hoping to get my hands on some Inov-8 trail shoes soon. They have some that have a 4mm offset, as well as a zero drop as well. I have worn some of their "crossfit" shoes and I have some of their Olympic Lifting shoes as well, from my "Crossfitting" days. The other shoes that I have used and worn were the Under Armour Fat Tire 2. I got those because of the extreme cushioning and 4mm offset. I felt because I was such a heavy runner, the extra shock absorption would help. I did like them, but they were very heavy and the traction was not great when it was wet and muddy. Additionally, the BOA system was nice, but the laces were thin and would cause hotspots on the top of my feet at times. Most recently, I have been wearing the Altra TIMP. These have a lot more cushion in them in comparison to the Altra Superior, which was my first Altra shoe. I have gone through three pairs of the Superiors and I do have a fondness in my heart for them. At times they feel like you are running/walking in Crocs. The Alta TIMP is a lot more robust and you can definitely feel the cushion. So my goal here is to not come across as biased, I am not. I do wear a lot of Under Armour and Altra footwear. I have always had a fondness for Under Armour since my days in the Army, but not necessarily because of their footwear. As a soccer coach, a few of the organizations and Universities I was affiliated with were sponsored by Under Armour and Nike, so I have an excess amount of clothing, footwear from them. I don't wear Nike shoes to run in because they don't fit my feet well, but I plan on trying the Terra Kiger model in the near future. Another reason I don't wear a lot of Nike is because of the heel/toe offset. Most of the time it is outside of the parameters of what I will run in, with the Terra Kiger being the exception at a 4mm offset. I don't really deviate between shoes between road and trail. I did wear the Under Armour Speed Tire and the Altra Escalante for road work primarily though. The Escalante is a road specific shoe. It's very lightweight and the upper is knit, which is great if you are a lightweight runner, but for me, I don't care for it. I find that my feet will slide laterally because the material is so light. Again, it's a really nice shoe and by far the most breathable Altra that I have worn, but it offers the lateral support of a sock, so if you are concerned with that, you might want to look elsewhere. The Under Armour Speed Tire is a less cushioned version of the Fat Tire. There is also laces, instead of the BOA system, but I know that you can get the BOA with that. It's a nice, no frills shoe that served its purpose. It's not overly aggressive, so you can wear it on a treadmill or road and to the gym as well. I do wear a lot of Altra because they fit my feet really well and the fit is pretty universal throughout their line...even the casual boots I have fit the same as the running shoes. With that being said, they run a little small, so I might go at least a half size bigger. They are becoming more common place so you can find them at a lot of common outdoor retailers like REI. I don't currently have any affiliation with them, I just really like their footwear. As I said before, footwear is highly preferential and our feet are all a little different. 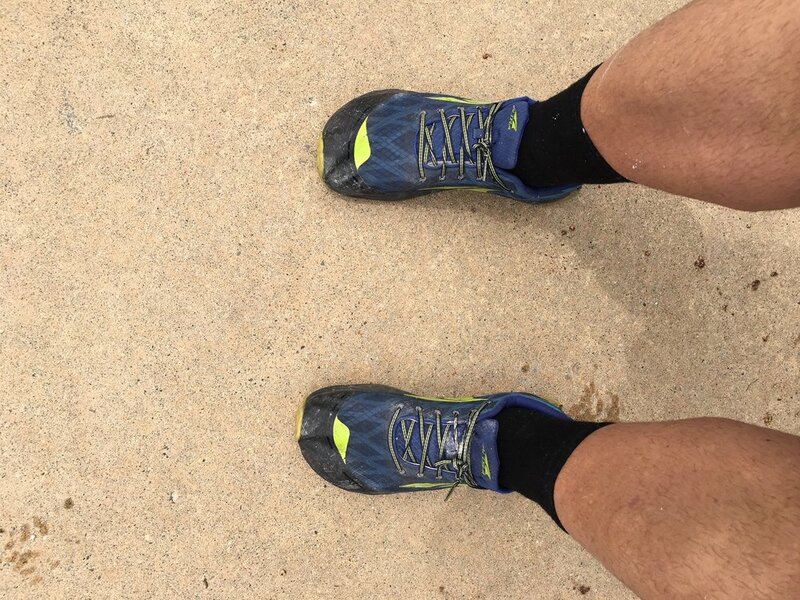 If you want to move into a "Zero Drop" shoe like an Altra, VivoBarefoot, or Vibram Five Finger, I would recommend to ease your way into it if you have never worn them or run in them before. Take the 'Training at Altitude' approach and maybe wear them in your day to day and then work your way into it. All three brands that I mentioned offer casual shoes that you could wear in a professional/business casual environment...yes they make Five Finger shoes like that. I will add some links below to all of the brands and shoes that I mentioned.